If you're in between sizes and have any tummy flaws, we recommend ordering up. If you've got a full hip, we recommend ordering the size that fits your hip. The waist band hardly stretches. 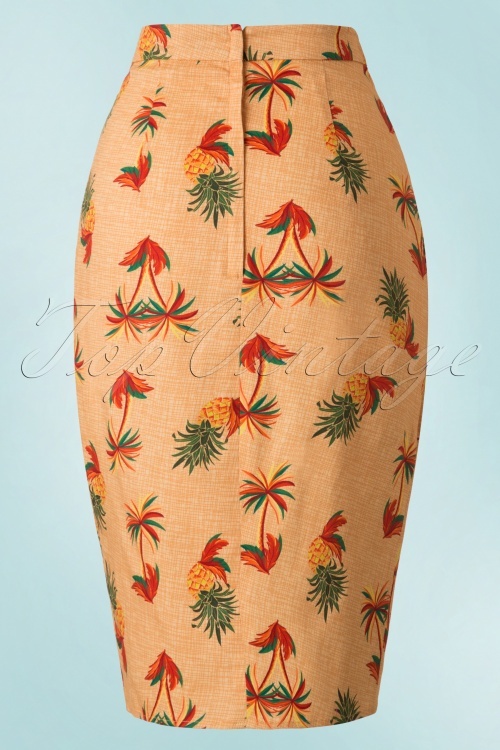 This 50s Kala Pineapple and Palm Sarong Skirt is a striking skirt inspired by the tiki sarong skirts from the fifties! This stunning high waist style features a playful, feminine wrap-over... yes, this tropical beauty will surely brighten up any day! 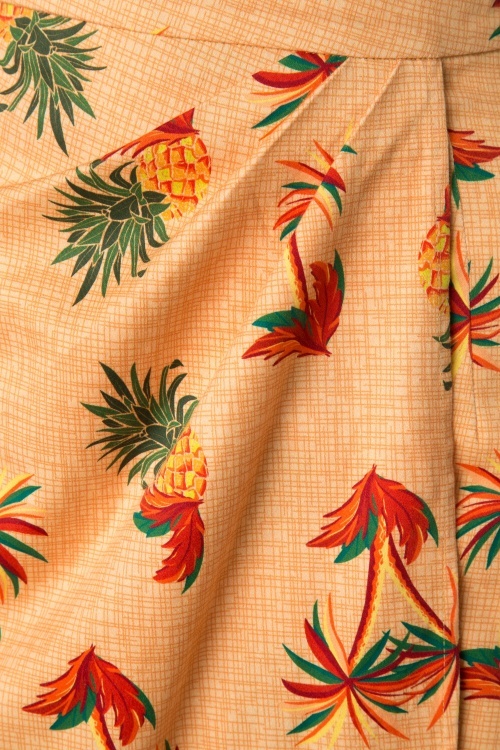 Made from a light orange cotton blend with a light stretch featuring swaying palm trees and juicy pineapples, só tiki! 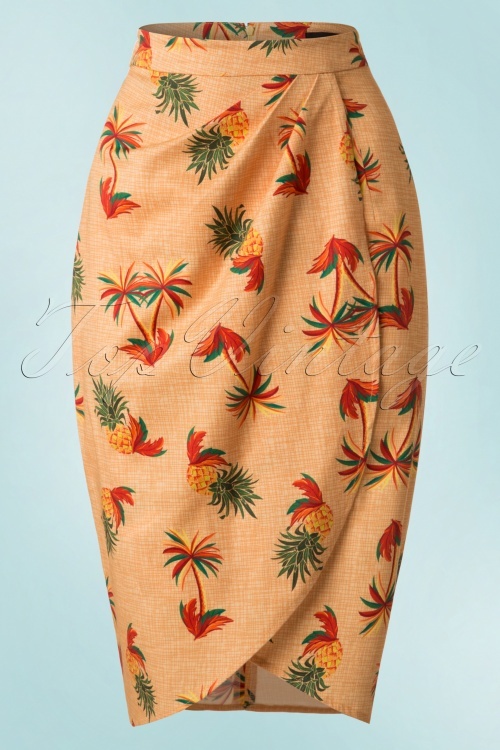 Wear her to the beach on a sunny day or team with high heels for a night out, summer time is Kala time!